July 3, 2013 July 3, 2013 Vaibhav SComments Off on Apps: What Are They, And What Do They Do? Cell phones have come a long way since the days of being handheld bricks. In the early 1980’s when “portable phones” were first introduced, only the most rich and pristine were able to afford such a luxury. If you call a two pound, blocky machine with buttons on it a luxury. The notion of carrying around your phone anywhere that you went was such a farfetched idea. How much easier things would be for people everywhere! Once cell phones made headway into our lifestyles, their design and functionality began changing repeatedly. What once started with a greenish tinted screen, a slow-moving game of “Snake”, and one dial pad has now turned into literally, a computer in the palm of your hands. The term “cell phone” is even obsolete! The proper term these days is “smart phone”, rightfully so. It seems there isn’t a thing that these Android or Apple based devices can’t do! The biggest hype on these machines are the apps. That one little word “app” has become such a common word in our vocabulary; new generations are growing up in a time of apps and downloads, and have no knowledge of life before this technology! There are apps for every single type of use. From games and entertainment, to helping you lose weight, to teaching you how to cook, and even tracking your pet. As if having these programs at your disposal via your phone and tablet wasn’t enough, now you can even use them on your television!! With a simple Android TV Box, you can stream all of the content on your smart phone right to your flat screen. Now you can play your favorite version of Angry Birds on a giant screen, while sitting on your couch! So what exactly is an “App”? The term “app” is short for “application”. It’s a software program that you can download and access via your mobile device; I.E. : smart phone and tablets. In order to use these programs you must have a mobile device with internet connection. These software programs offer forms of entertainment, news and weather updates, lifestyle programs, food and beverage searches, maps and navigation, and many other programs that can adorn your background on your smart phone. Now that you know what an “App” is, where can you get them? The place you find your applications depends on which operating system your phone is running on. If you purchase an Iphone, the Apple company has their own operating system and own place to download applications. The Android system is the second biggest operating system, adorning phone brands such as Motorola, Samsung, and HTC. Blackberry and Microsoft also have their own “app stores” where you can find content. This store will come with your phones pre-installed applications, and allow you to browse content from all over to pick and choose what you like. You learned what it is, and where to get it, now how do you use it? This part is quite simple! Once you’ve clicked “download” and the installation of your new application is finished, you can open it right away from your toolbar at the top of your smart phone, or find it on your home screen, or in the section where all of your other apps dwell. Simply click on the logo for the application, and viola’! It begins at your beckon call. 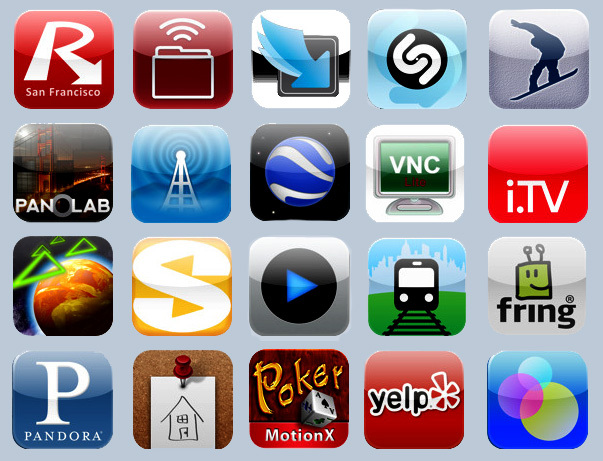 There are many applications that are free, but there are also some for purchase. In this case, you will need to provide a credit card number to your app store as this is the only way purchases can be made. Be sure to read reviews on applications, do your research on if they hold spy ware or viruses, and make sure they are compatible with your phone! Certain apps may have malfunctioning properties on certain brand phones. Now that you’ve done your homework on these nifty pieces of software, enjoy them! Happy “Apping“! Author Bio: Tony is a technology enthusiast that likes to share his experiences and reviews with readers in order to help them with their own gadgets.